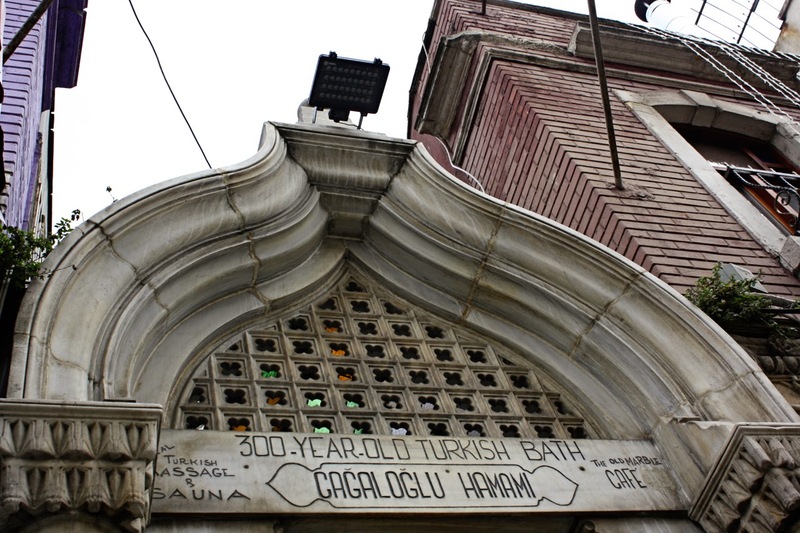 The first hint is - you should absolutely, definitely, unequivocally visit a hammam if you're in Istanbul. 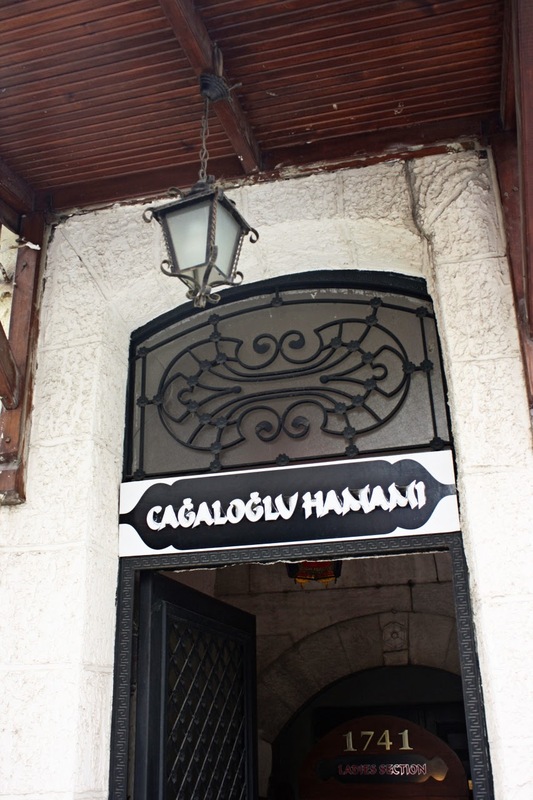 We chose the Cagaloglu Hamami which apparently is one of the '1000 Places to See Before You Die'. (I know this because there were signs everywhere telling us this fact.) But don't let that stop you. Lady Travellers will, of course, go around the corner to the Ladies Section. Inside it is beautifully, perfectly old world. It doesn't appear to have been renovated much in the last, oh, fifty years. You are handed a key to a small cabin where you undress, wrapping a thin Turkish towel around yourself and stepping into wooden sandals, before heading into the inner sanctum: a series of domed steam rooms. In the main ablution room, a central circular marble platform is surrounded by a series of fountain-style basins. Here one steams, washes, is massaged. My best hint is this: give yourself over to the experience and don't worry about modesty. 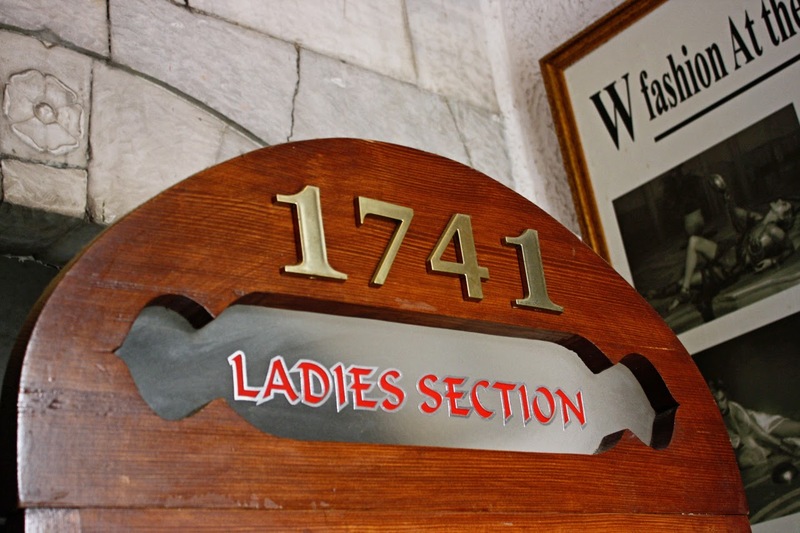 For guidance, you could read Lady Mary Wortley Montagu's description of visiting a hammam in the early 18th century. I was in my travelling habit, which is a riding dress, and certainly appeared very extraordinary to them. Yet there was not one of them that showed the least surprise or impertinent curiosity, but received me with all the obliging civility possible. I know no European court where the ladies would have behaved themselves in so polite a manner to a stranger. I believe, in the whole, there were two hundred women, and yet none of those disdainful smiles or satirical whispers that never fail in our assemblies when anybody appears that is not dressed exactly in fashion. They repeated over and over to me; 'Guzelle, pek guzelle', which is nothing but 'charming, very charming'. The first sofas were covered with cushions and rich carpets on which sat that ladies and on the second their slaves behind them, but without any distinction of rank by their dress, all being in the state of nature, that is, in plain English, stark naked without any beauty or defect concealed. Next hint: post-ablutions, take time to drink some mint tea while reclining on a velvet bolster. You will emerge refreshed, relaxed and, in my case, smelling strongly of lemon verbena.